AAs PC online-programming is designed to assist the needs of Masters wanting to qualify for the Games, Beginners passionate about fitness, Regionals and Elite level athlete wanting to leave no stone unturned. . . 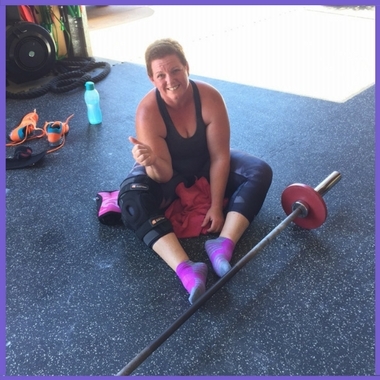 Programming by a 1 x CrossFit Games Individual female competitor, 4 x Crossfit Games podium finisher, including 3 x Crossfit Games Masters Championships (2013, 2014, 2018), 4 x Top 5 Australian Regionals finisher, 8 years at the top of the Crossfit world, after 40 years of age! AA is recognised as one of the world's best female Crossfit athletes, the first Australian to be contracted to compete in the National Pro Grid League, a regular contributor to top magazines, corporate speaker, with 5 books to her name, Amanda knows the secrets to harnessing, coaching and realising potential...you have access to it all! AA's 20 years of world class athletic achievements and professional experience will take you to the next level. With World titles in 2 sports and State and National titles in 4 sports Amanda's got the goods. If you want the best for yourself, work with the best! With AA you are paying for a performance coaching service, mentoring and life coaching rolled into one offering! You have daily access to AA for support, as you need it! Becoming a Games level athlete is about the pursuit of excellence. Excellence asks everything you’ve got, everyday, in every one percent of everything you do; at this level you cannot do it alone, it must be a highly calculated, strategic approach, all guns ablazing. AA has the proven experience and achievements to provide the high level programming and coaching and guidance to take you to your highest potential. 6 days per week. Double training sessions. Programmed recovery. 4-6 hours per day. Being a Masters athlete means doing things a bit smarter than we used to. It certainly doesn’t mean kissing your days of physical-awesomeness goodbye! We just need to allow a little more time for recovery, and we need to focus on a little more strength. There is still scope to achieve your greatest athletic feats as you age. It’s only over when you say it’s over! With the benefit of strategic programming, planned rest days, committed recovery practices, optimal sleep, hydration, nutrition, stress management, warm ups and cool downs...the world of strength and conditioning can still be your oyster. AA Masters Strength & Conditioning programming is a 5 day training program, of 60-90 minutes per day, allowing 2 full recovery days per week. suitable for anyone with a desire to have fun while staying fit and strong for life! the only requirement for equipment is a skipping rope, kettlebell and pair of dumbells.